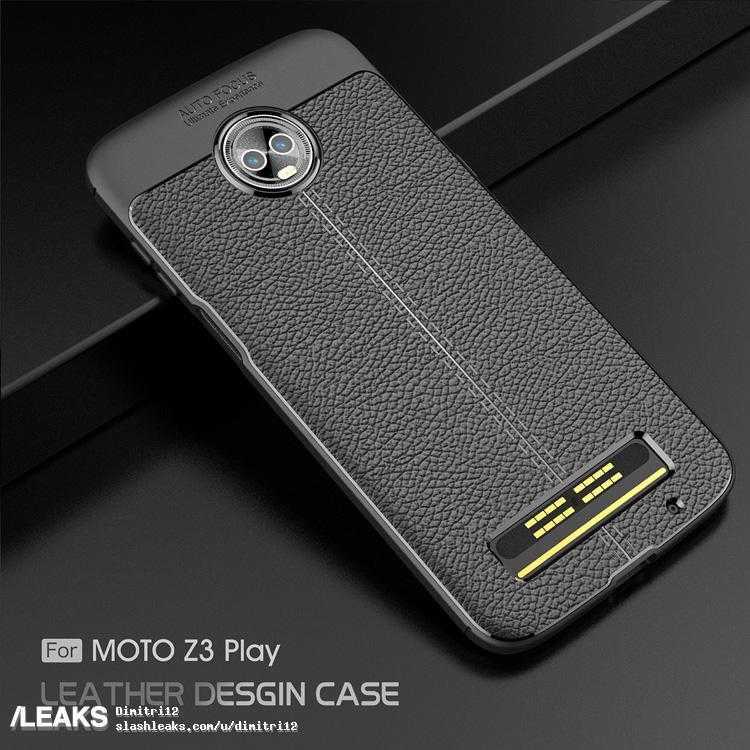 The Motorola Z Play series of smartphones has in the past offered up premium design and specs under the hood and this appears to be a feature which has stuck with the upcoming Motorola Z3 Play as a fresh leak of the device has surfaced online showing off a sleek design and rear camera setup amongst other features. 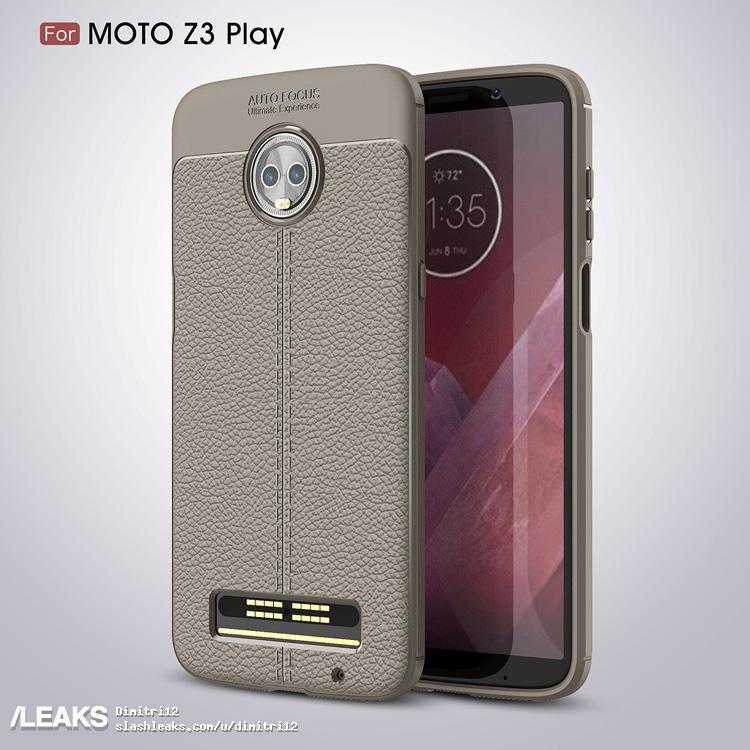 Coming months ahead of the official release of the Z3 Play device which will come as a successor to the Moto Z2 Play, the fresh leaks confirm a few of the rumored specs to be expected on the device including a dual camera setup on the rear panel. The upcoming Motorola Z3 Play is expected to hit the shelves later in the year given the timeline schedule with which the Lenovo-owned company had released its predecessors. The device is expected to pack a 6.0-inch Super AMOLED display with a display resolution pegged at 1,080 x 2,160 pixels. According to the leak, the rear camera setup which had earlier been rumored to comprise a 12MP + 8MP phase detection and laser autofocus sensors with the speaker grills coming in bold at a distance to the camera, comes packed with a LED flash for lighting. The 6.0-inch display which features thick bezels on the top and bottom front panel, also packs the volume rocker on the right side coupled with a side mounted fingerprint sensor situated just below it. Under the hood, the Moto Z3 Play has been hinted to be coming into the market running on the Qualcomm Snapdragon 630 SoC or the Snapdragon 636 processor paired with memory configuration variants of 4GB/6GB of RAM. The Moto Z3 Play may also come in with onboard storage memory configurations of 32GB, 64GB or 128GB variants. No word yet has been released on the possible pricing information for the upcoming device although speculations abound that the Android 8.0 Oreo running device may sell for between $500 – $550 in the US and possibly make an entry in the second quarter of 2018. Motorola recently made an official announcement that it’s going to launch its first few products of the year in April. With just a few days away and a bunch of models already getting certified in different countries, do you think this one will make it to the list as well? Share your thoughts below.